Since we have once again had a stormy weekend, I decided that it was time to think Spring! 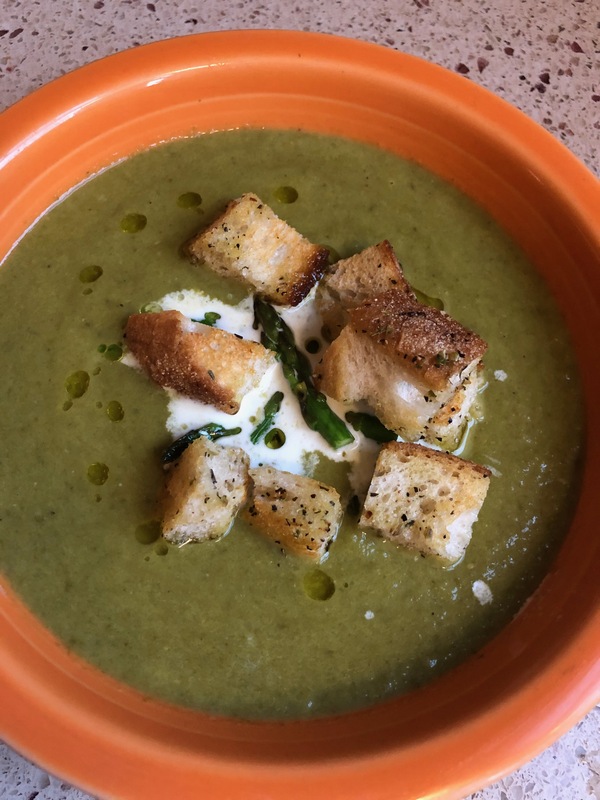 I’ve been diffusing light clean scents, and last night made one of our favorite spring soup recipes. Add toppings to serve. The sky is the limit here! I love pepitas and some coconut cream, but you can also saute the asparagus tips to serve on top! Recipe taken from Green Kitchen Stories.